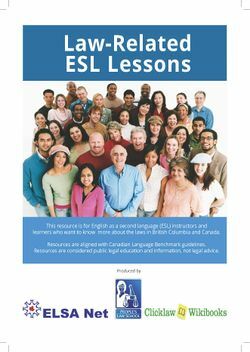 Law-Related Lessons for English language instruction for newcomers to Canada (LINC) and British Columbia. Instructors will find lesson modules on legal topics that affect newcomers, including downloadable instructional packages at varying Canadian Language Benchmark (CLB) levels, together with assessment tools. View the Orientation for ESL, ELSA and LINC Instructors (PPT) to learn how to use Law-Related Lessons in your English language instruction. 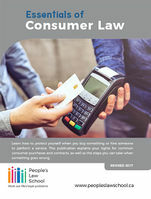 These lessons were developed on Clicklaw Wikibooks by People's Law School and ELSA Net for ESL and ELSA Net instructors. These lessons are considered samples and instructors are encouraged to modify the lessons to meet the needs of their English as a second language learners. Learn more about these law-related lessons. People's Law School acknowledges the financial contribution of the Government of Canada and Province of British Columbia to this project. Visit other resources on Clicklaw Wikibooks from People's Law School.